Several cars outside the top 20 dropped time yesterday and traded a few places, but the overall picture looks very like that of the previous sections through Greece. Kjeld Jessen's 1929 Bentley, one of two early Bentleys running well, dropped 25 minutes and slipped back three places from 24th to 27th. 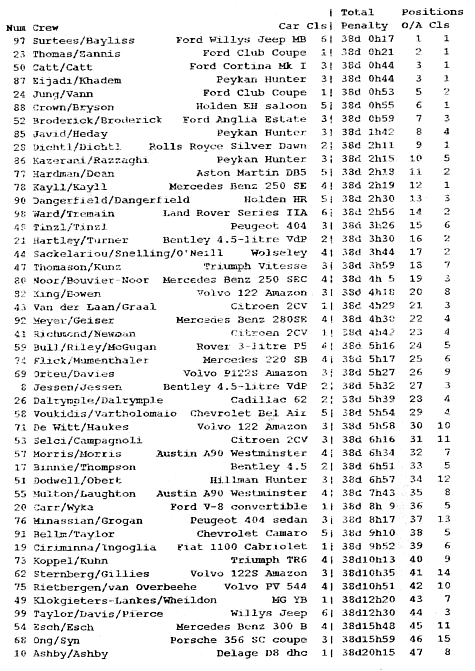 The Hartley/Turner Bentley of similar vintage, remains in an excellent 16th place with total accumulated penalties of just 3h 30mins. 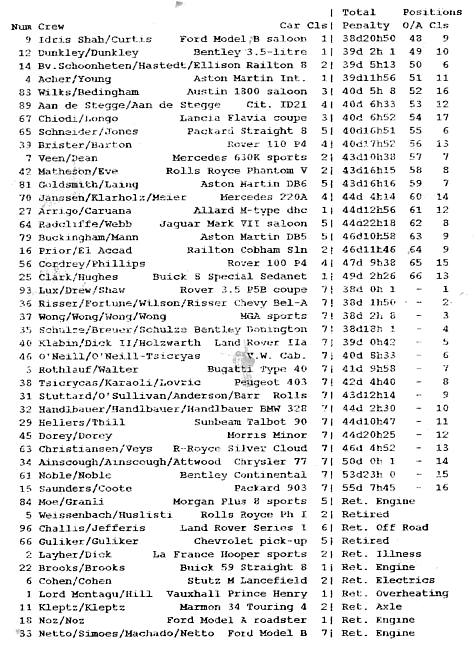 The German-entered Triumph TR6 of Koppel and Kuhn was delayed and lost an hour but such are the penalties in this group of the field that it only cost the crew two places and they now lie 40th. John Goldsmith's Aston Martin was afflicted with more mechanical problems yesterday and picked up a whole 12 hours in penalties, dropping back to 59th place. Today's run from the ferry terminal in Ancona is a straightforward and short dash to the night halt in Rimini, so it's unlikely that there will be much change in the order by the time tonight's positions are issued.